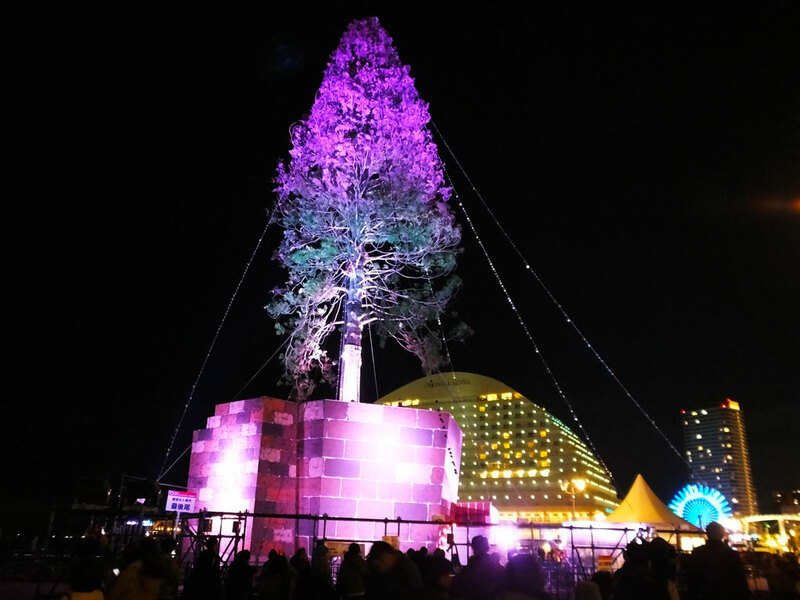 People are excited about The World’s Tallest Christmas Tree Project in Kobe, Japan. The project is led by Seijun Nishihata who has experienced Kobe Earthquake (Great Hanshin Awaji Earthquake). The project is held for the repose of the souls of the victims. 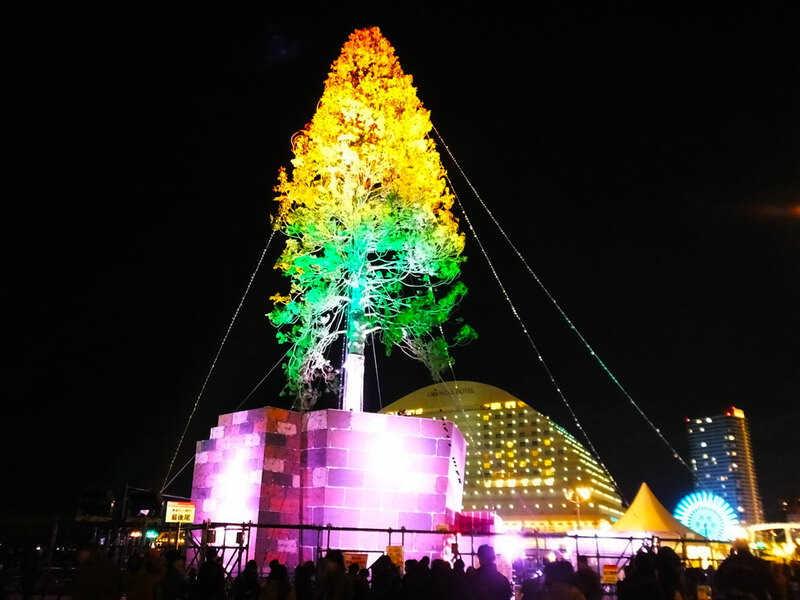 By building the tree in Kobe that has recovered from the earthquake, Nishihata also try to send a message of hope to the world. The tree is approximately 30 meters tall and 150 years old. It is taller than the Rockefeller Center Christmas Tree. Visitors write their messages on small reflective plates, and the plates are hung around the tree with strings every weekend. There are no other ornaments, but instead, the tree is illuminated in rainbow colors. When I went there on December 9th, a bunch of people were waiting in line to climb to the top of the huge tree pot. After the project, the tree will be used as lumber. It became a hot topic that one of the torii gates of Ikuta Shrine will be made of it. The tree will live in different ways in the future as well. 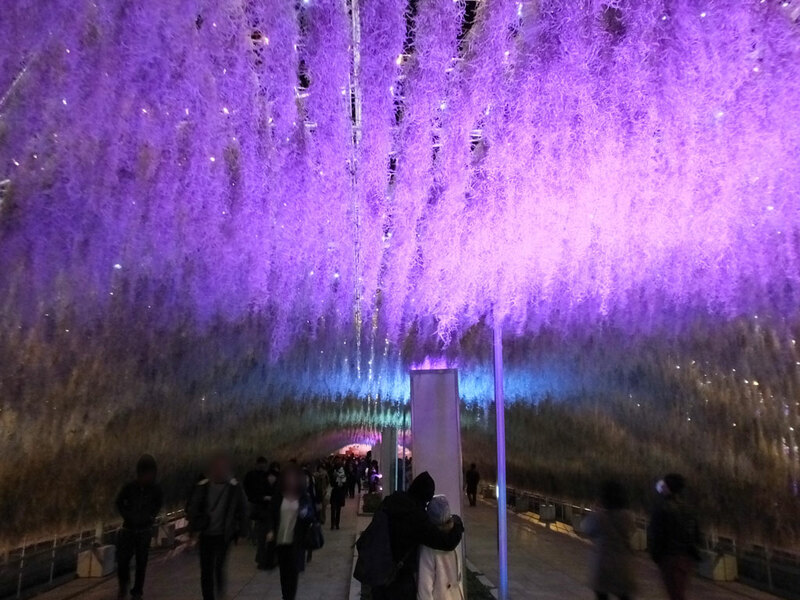 In the event site, there is a fascinating tunnel that is made with illuminated “air plants” that don’t need soil to grow. 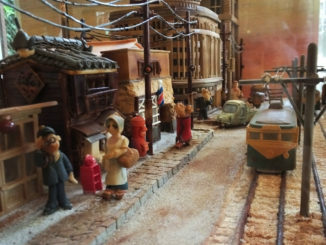 The length of the tunnel is about 60 meters. As I walked through it, I thought it was like a beautiful wisteria tunnel. 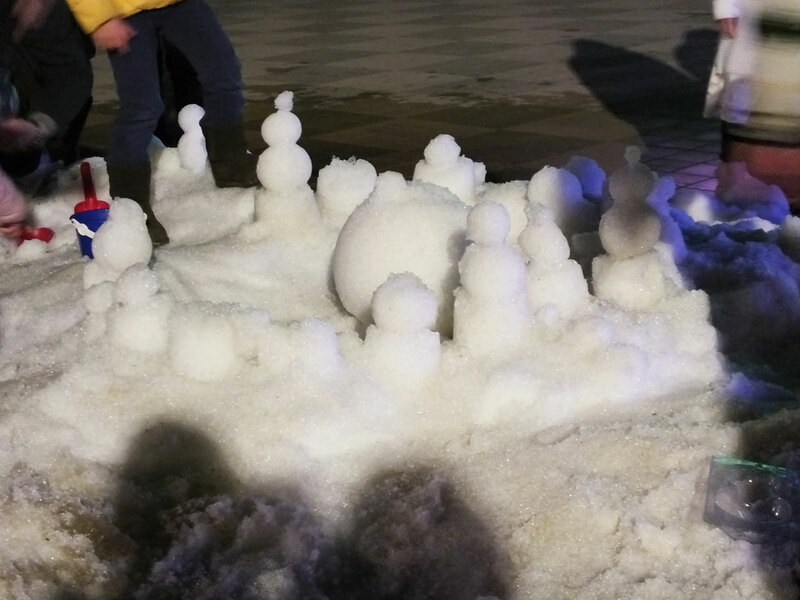 Near the tunnel, there is a small place for children to play with snow. 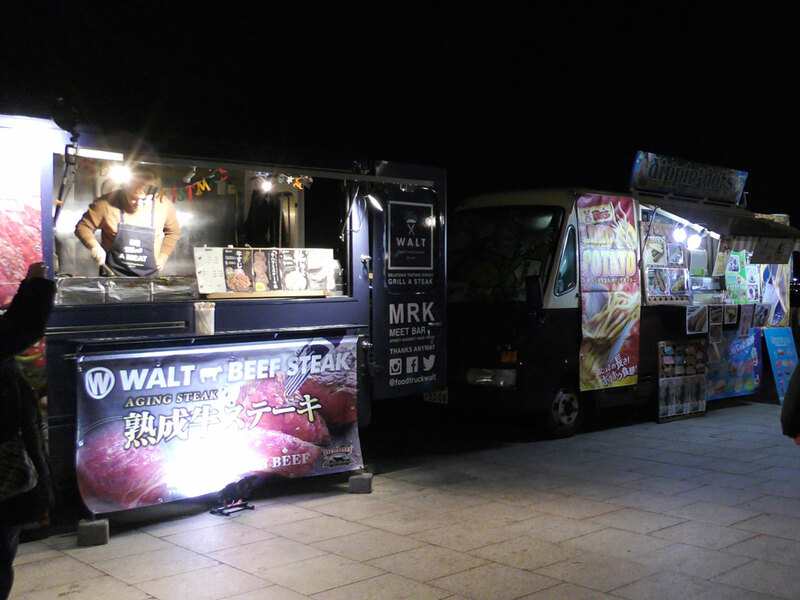 There were food stalls, too. It is a great place that both families and young people can enjoy the event. Moreover, sometimes music events are held in the event site. 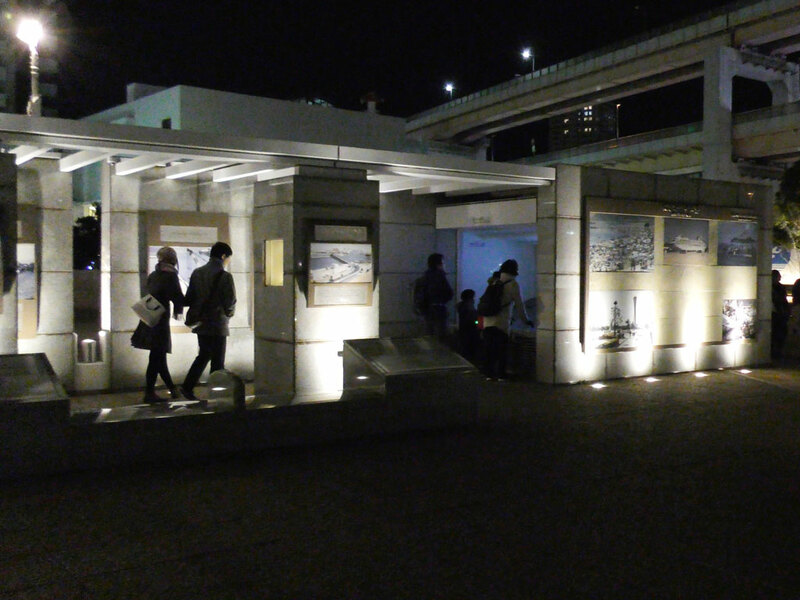 In the east side of the site, there is Port of Kobe Earthquake Memorial Park. 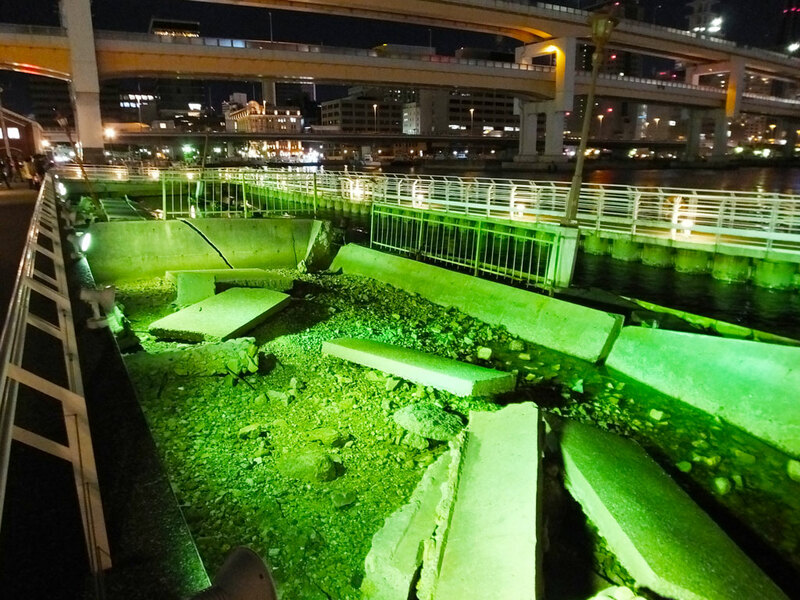 Kobe Earthquake occurred in 1995, and a part of the devastated area still remains as it was. You can also watch the video about the damage of the earthquake and how the place has recovered. 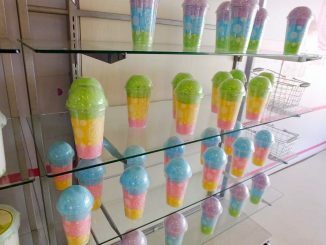 I became terrified of earthquakes and thought deeply about Kobe Earthquake. 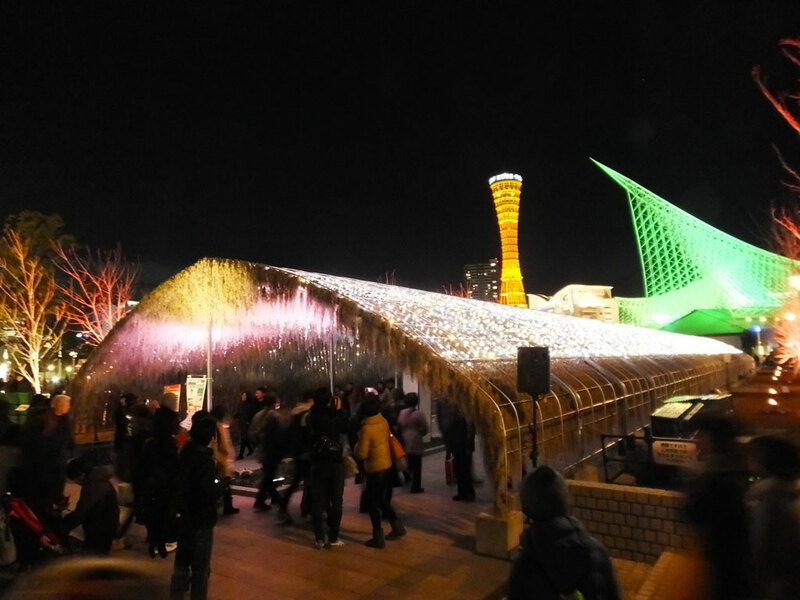 The event of the Christmas tree is held in the season of Kobe Luminarie and Nakin-machi Lantern Fair. 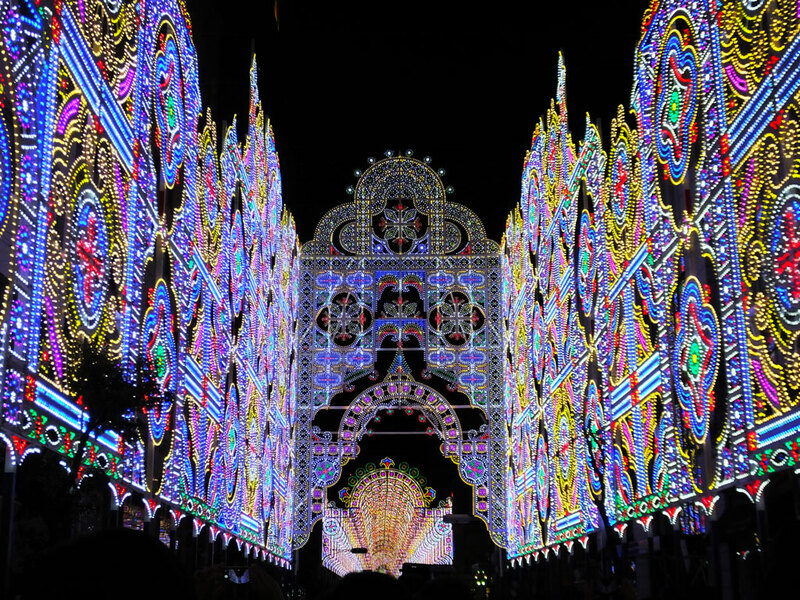 Kobe Luminarie is a big festival of lights that more than 3 million people visit every year. 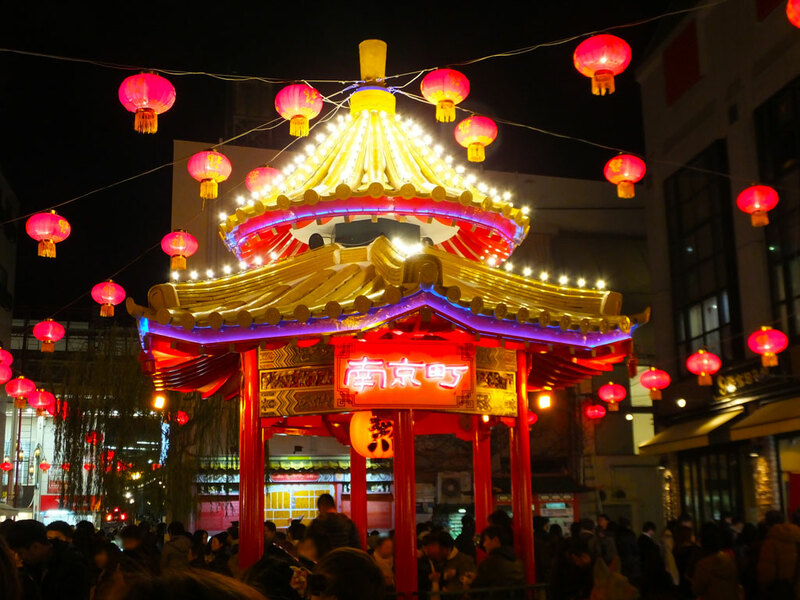 I recommend to go to see the Christmas tree first, and then have dinner at Nankin-machi (Kobe Chinatown) and visit Kobe Luminarie if it is OK not to see the moment when Kobe Luminarie’s lights are turned on. 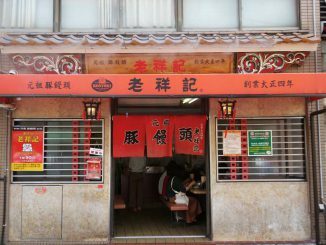 This is because you can eat authentic Chinese food at Nankin-machi, and it is less crowded in the late hours at Kobe Luminarie. Be sure to check the date and hours of each beforehand. Lighting hours: 5:30 p.m.～10:00 p.m. The lighting ceremony: 12/7 (4:40 p.m.～) ※Estimated time of the lightning is around 5:00 p.m.